This Samsung’s LED TV is one of their smallest launches in 2013. The only smaller TV is F4000 (19 inches). This is a strange but interesting and nice little 1080p set. Regarding regular programming, a TV this small doesn’t really benefit from the advantages of the full HD screen. However, the real usefulness with this TV becomes clear if you hook up your computer to it. You will get much more work space with a 1080p monitor than with a 720p monitor. 22 inches is a perfect size for one’s monitor as well. Just think of it as your monitor that has a TV tuner built in. Also, people who want a new television for their kid’s room or are up to change their bedroom television can definitely go for this TV since it is easy to handle and compact. It comes with a TV stand so it is really easy to place it on your table or anywhere you wish. If you prefer mounting it on your wall, you can do that as well. 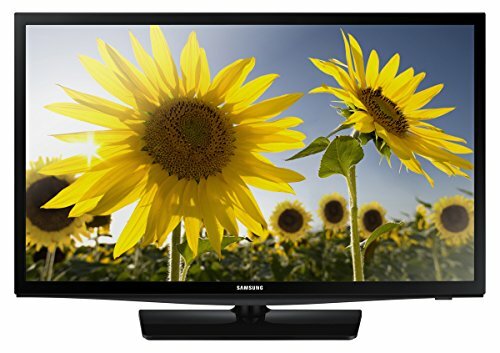 The UN22F5000 is a great TV from Samsung that would be really great for your office, dorm, and kitchen as well. So, if you’re up to replacing your old, outdated TV with the new, modern generation LED TV, this is a great choice for you. This model looks exactly like the F5500. This look is great for a value model like UN22F5000. Samsung calls this look the Slim Design. It is pretty similar to the 2012’s EH5000. An updated appearance of this great little TV is accomplished with the bezels that surround the display. The square stand is the same as before, but the profile is slightly thinner in comparison with the 5000 series from the 2012. Everything here is a glossy black plastic, and it is really nice to see this low end TV looking so great. The picture quality on this TV is pretty great. Powerful LED backlight produces a clear and bright picture with strong contrast and bright whites. Color on this TV is also a strong point, yet it can sometimes have moments or periods of over saturation, even to the point of appearing unrealistic. You can easily enter the image settings menu in order to turn the backlight setting down a bit to keep this issue in check. This model of TV boasts a Clear Motion Rate of 120 which is an excellent level of motion-clarity. It is supposed to improve clarity, sharpness, as well as contrast when enabled. Also, there is the Wide Color Enhancer Plus – a feature which is supposed to improve the range of colors viewed in certain types of content. For an affordable TV model like this one, side angle viewing is pretty good. Color and contrast start to degrade at around 30 degrees either from right to left or up to down. However, this is normal and typical for LED/LCD TVs, and this model is not plagued by bad viewing angles.